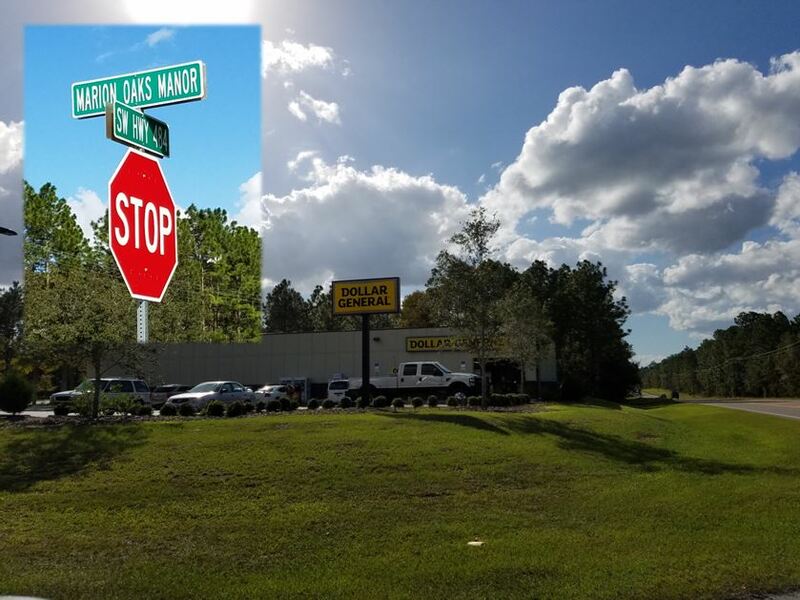 Marion County — Upper management for a Marion Oaks Dollar General store has not taken any extra precautions following three armed robberies. As of October 30, 2016, the store, located at 896 Marion Oaks Manor and Highway 484, has been robbed three times. The location has not even been in business for a year. During this last robbery, the armed thieves also robbed two customers — one was robbed of $20 and the other $22. One of the customers was a 15-year-old boy who had gone to the store with his dad to purchase razors and shaving cream. The clerk stated that one light-skinned black male and one dark-skinned black male walked into the store wielding handguns. They pointed the guns at the clerk, at which time she screamed. Her screams then alerted a second clerk who was stocking merchandise. The second clerk walked to the front of the store where she, too, was held at gunpoint. According to reports, the armed robbers had the first clerk remove all of the money from the register. The two suspects then fled the store on foot. Witnesses outside the store stated that the “men” walked around the building and then took off running down the alley to the south of the store. The store is located in a poorly lit area and surrounded by woods. The light-skinned male was wearing khaki pants, a black hoodie’, and a camouflage bandanna around his face. The second male was wearing grey pants, grey hoodie’, and had a white tank top wrapped around his face. A store employee, who does not want to be identified, told Ocala Post that store policy prohibits employees from carrying handguns. On Halloween, the Dollar General located at 7120 East Highway 25, Belleview, was also robbed at gunpoint. The clerk said a black male in his teens, maybe early 20’s, entered the store wearing a black mask with teeth imprinted on it, a blue bandanna around the bottom of his face, a white t-shirt, black pants, black sunglasses, and a black baseball cap. Initially, the clerk thought it was a prank and told the armed robber to leave. The robber then jumped over the counter, put a black handgun to her face, and told her to empty the register. The clerk told the robber that only the manager could open the drawer. The suspect then approached the manager and ordered him to open both registers. During the robbery, the suspect told a customer to go to the back of the store. The customer then locked herself in storage room until police arrived. No one was injured during the robberies. Anyone with information can call the Marion County Sheriff’s Office at 352-732-9111, Crime Stoppers at 352-368-STOP, text a tip to 274637 using keyword 368-STOP, or visit www.ocalacrimestoppers.com. Anonymity is guaranteed.